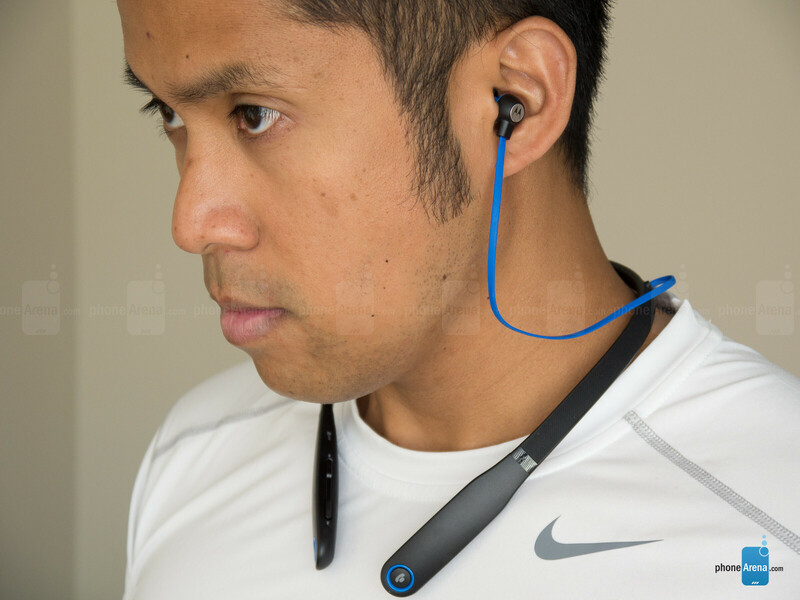 Okay, we’ve seriously have gotten our fill of these around-the-neck styled Bluetooth headphones. In the last several months alone, we’ve reviewed the SOL Republic Shadow, Phiaton BT 100 NC, and Samsung Level U – all of which offer their own unique spin to the segment. 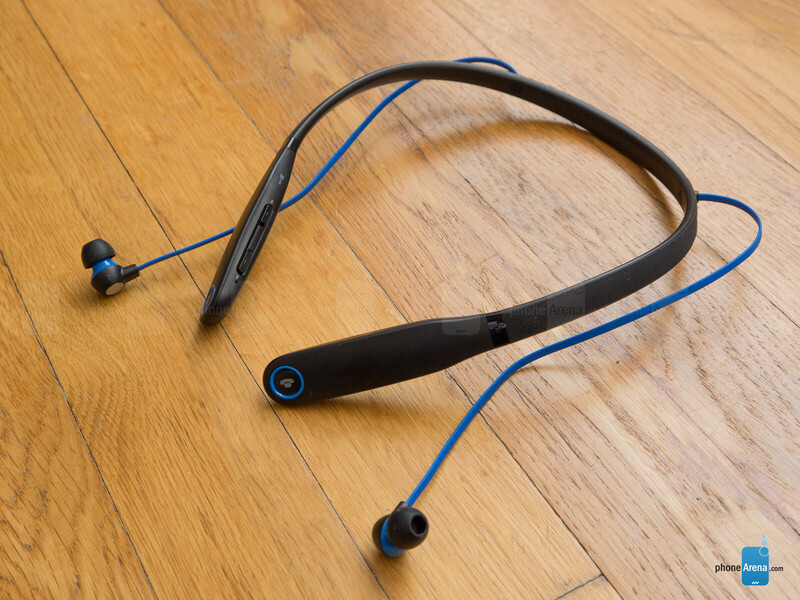 Well, it’s now Motorola’s turn to try and impress consumers with its offering. At first thought, the Moto Surround’s price point of $69.99 is quaint in comparison to the aforementioned models, but don’t think for a second that you’re getting a wonky cheap thing that skimps out on the goods! Aesthetically, there’s a sporty element to the design of the Moto Surround. It’s plainly made obvious by extremely subtle black colored matte finished surfaces that cover most of the body, which is pleasantly complemented by the hard-toned blue accent found around the headphone wires and the circular buttons on the ends of the unit. Despite the sporty style, the plastic construction makes it feel a bit cheap – more so when it feels rather hollow. One peculiar thing to note is that the Moto Surround features HZO protection, which guards it from water and sweat thanks to its IP57 certification. 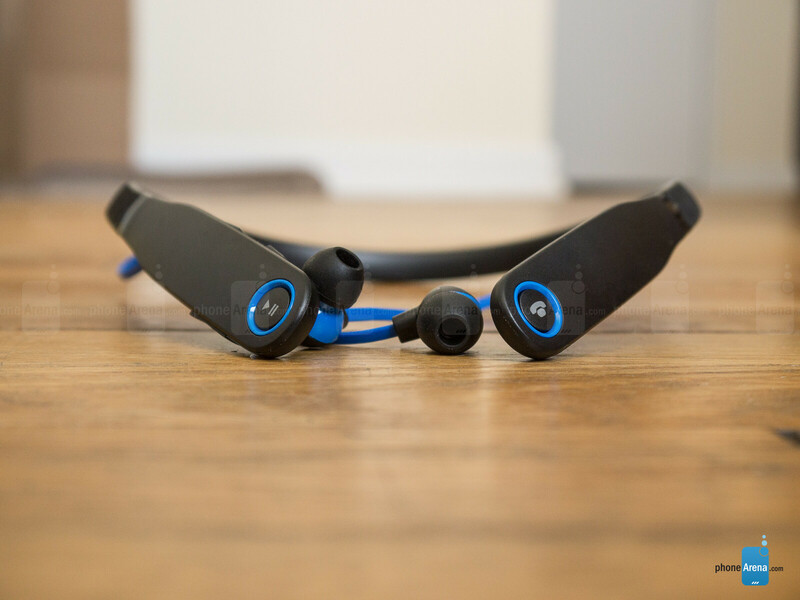 Not only does it endure the sweatiest of workouts, but it can withstand immersion in up to 3 feet of water for up to 20 minutes – you just have to remember to cover the microUSB port. There’s a higher degree of protection at play here, which is wonderful seeing that comparable models don’t offer water-resistance, but it’s not really meant to be used under water. Much like other around-the-neck styles we’ve checked out, the Moto Surround is great for easy listening when you’re trying to relax or on a flight – it just fits the occasion for that. While there’s the sporty attachment with it, we find it a little challenging to use for running, since the lightweight nature of the Moto Surround causes it to move around a lot. Rather, it’s best suited for workouts that don’t involve vigorous movement, so think like weight lifting and stretching. 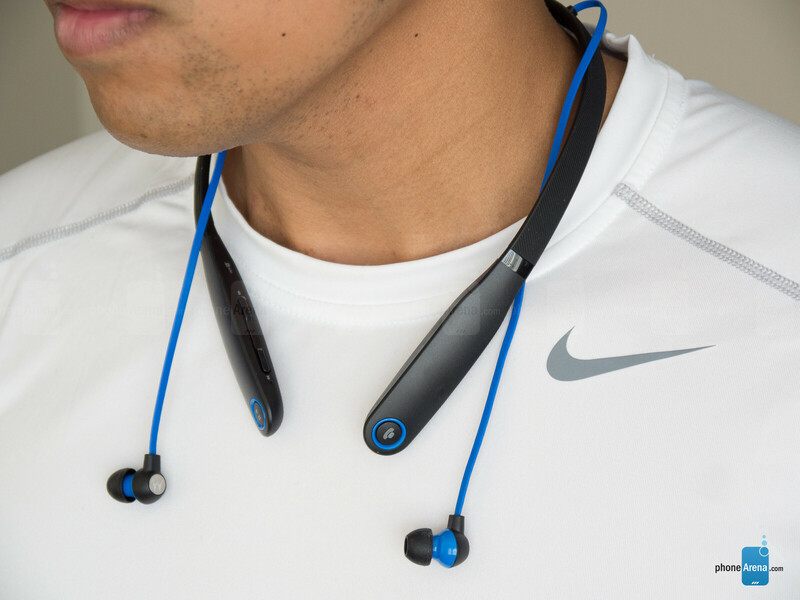 The earbuds are your standard fare, flaunting that silicone rubbery finish to them. Out of the box, they feel pretty snug to the point of offering a fair amount of suppression when worn. 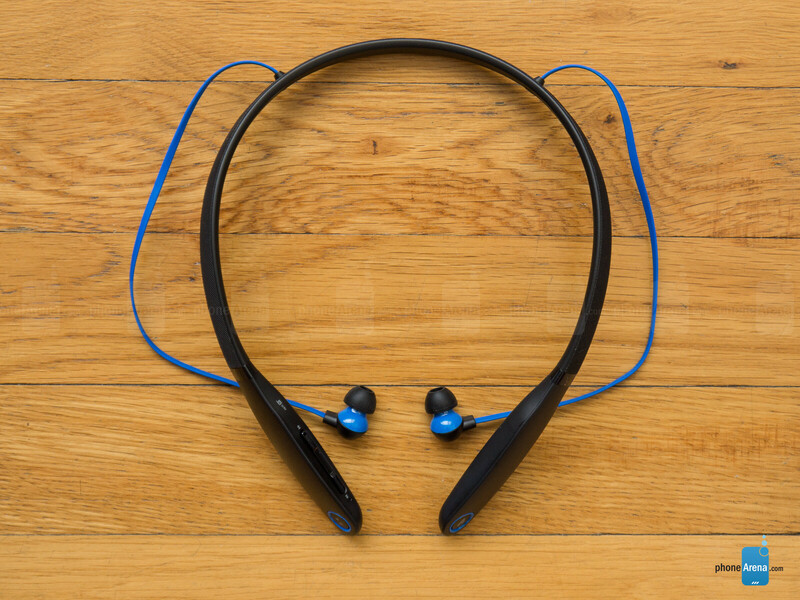 Thankfully, Motorola also includes other sized tips if the preloaded ones aren’t fitted to your sized ears. For long term usage, we find them more than comfortable – so they never feel irritating over time. And finally, when they’re not being used, they can be attached magnetically to the circular buttons found on each end of the headphones. Most of the controls are situated near or around the ends of the headphones. 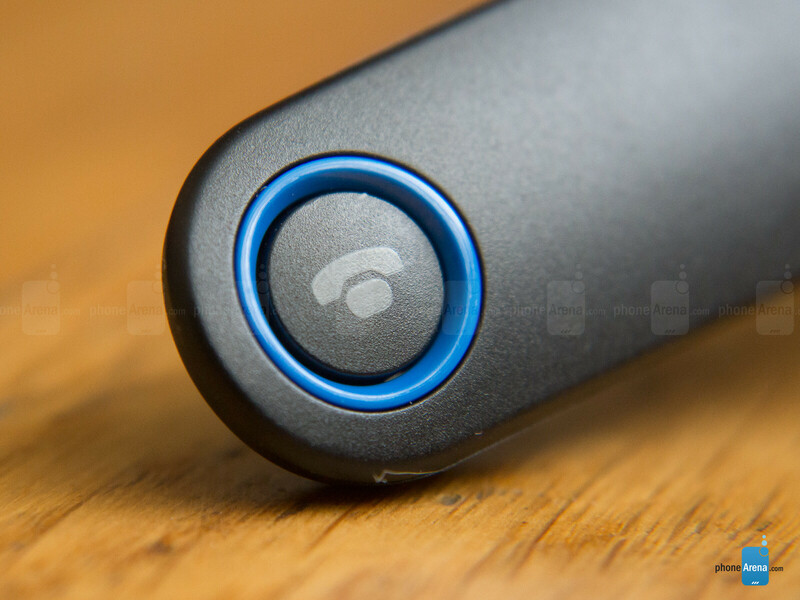 The right section is home to the volume controls, which act as track forward/reverse when long pressed, pause/play button, microUSB port, physical power button, and an LED status light. Meanwhile, the left compartment only accommodates a multi-function button that acts to accept/end calls, and even launch your phone’s personal digital assistant service when it’s long pressed.